The very first number of the Panzeratlas and a special part too. 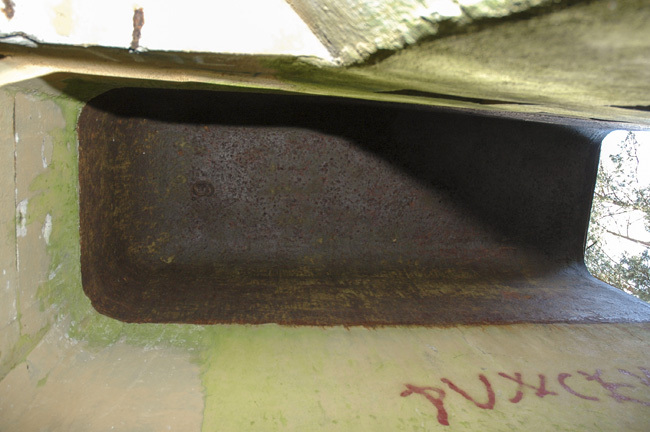 This part shaped like a bath turned up-side-down was very useful for low profile bunkers. 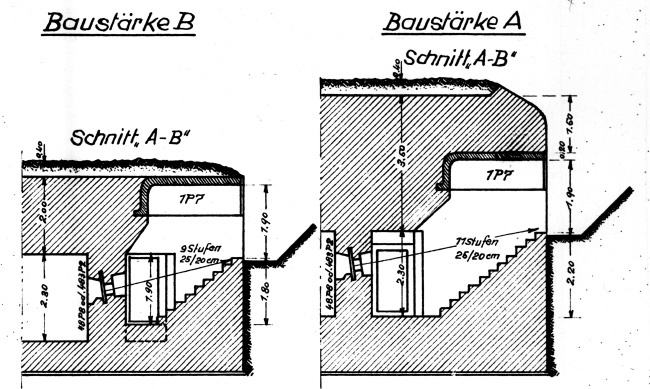 200 mm of steel stands for 2 meters of concrete so the complete profile of a bunker could be lowered when this part was placed over a bunker's entrance. 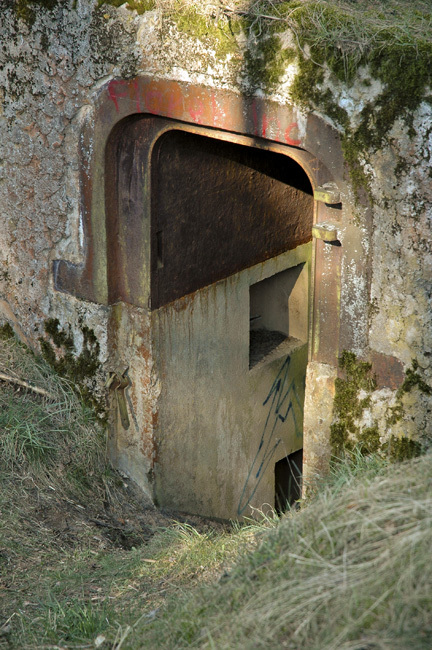 Because it is such a huge piece of steel, its use was intended only for bunkers on the most critical locations. Until now, there isn't much information on its use. There are two versions: a right opening (FPzS 8304) and left opening version (FPzS 8305). According to the Wa.Prüf.Fest. in feb. 1941 there were 71 pieces of the 1P7 fabricated, from which 39 were stored in a Lager. No further examples were in production; the newly designed 751P3 (FPzS 8308) would replace the 1P7, because it was a stronger design (made out of one piece). 80 of them were ordered but never delivered. Another piece specifically designed for entrance protection was the 85P9 (FPzS 8507). 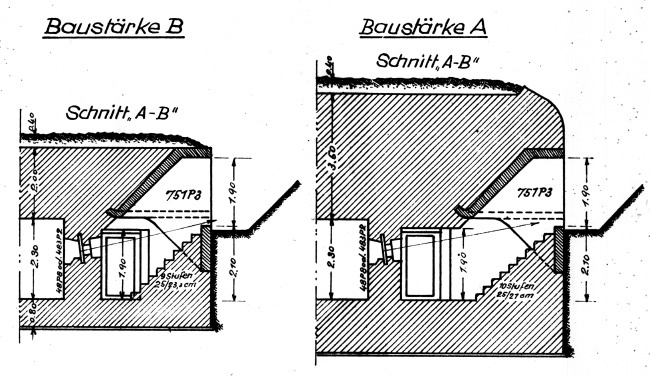 This 35t beast was 420mm thick and intended for bunkers with Baustarke A1. 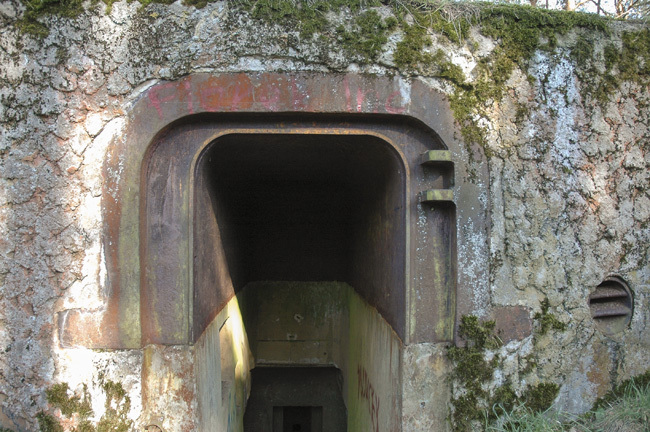 It was basically an armoured top cover of a climbing shaft. 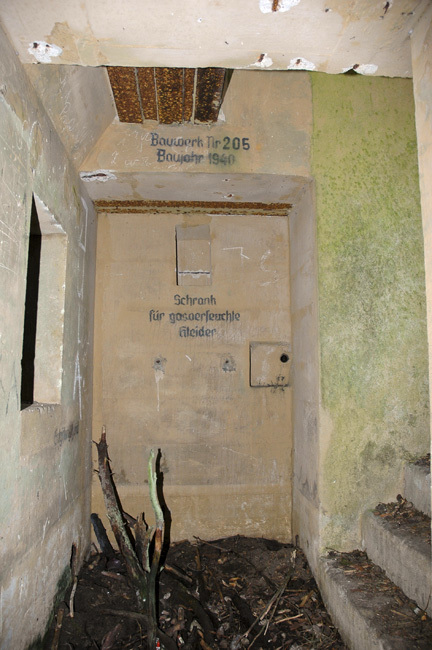 One piece is known to be used in a Sonderkonstruktion in Stützpunkt Blücher-West at Breskens, the Netherlands (AOK 15). 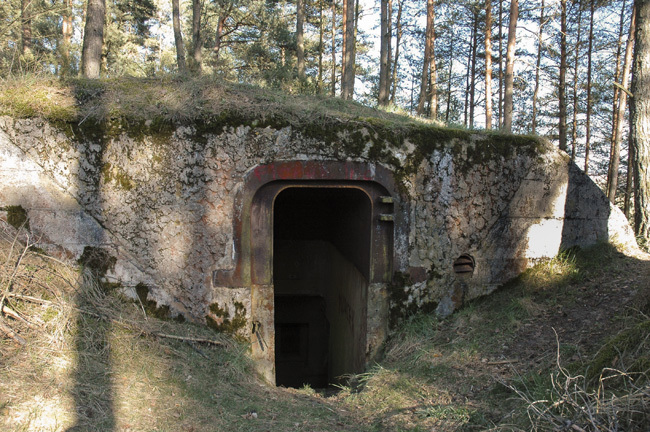 We know a 1P7 was installed at Werkgruppe Galgenberg (nowadays Poland, near Strzaliny), but removed after the war. One was built into a Regelbau 514 (Bauwerk 205, FPzS 8304) at Stp Turośl in the Galindestellung (border of Ostpreussen/Prussia) and still survives. 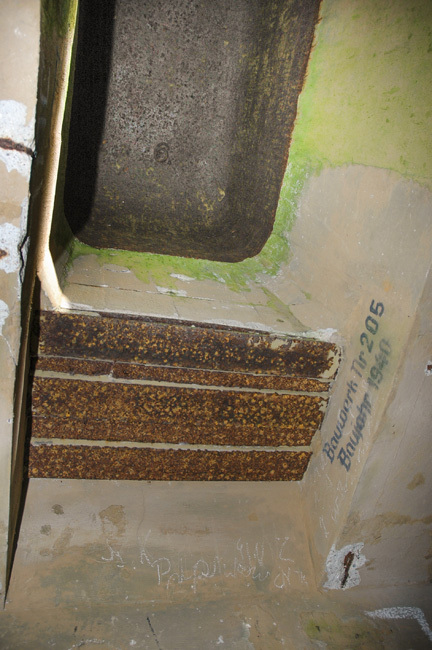 A second surviving example (FPzS 8305) was used on the roof of the U-Boat bunker at Lorient, Keroman III. We suspect more of them on the roofs of the Keroman bunkers.